Sally and Matthew bought the store off there father Matthew Croft on the 1st November 1998. Previously working for their father from a very young age. Matthew Croft Stores opened in 1966 and on their partnership decided to call it Croft Stores, a name for younger generations to grow with. 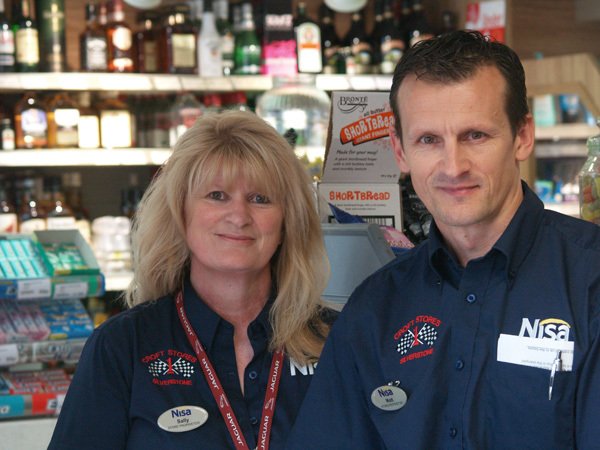 Sally and Matt have never shied from hard work and the hard work ethic is in their genes. At the ages of just 6 onwards helping their father on the Market selling footwear and in the shop in Silverstone Village. The store has constantly gone through changes throughout the years but in 2011 decided to extend and knock through to the adjoining house and create a greater shopping area which enabled the store to offer an extended refridgeration and floor space area.It was at that time the decision was made to link with a recognised buying group Nisa, providing the store with a wider product range, competative pricing and enabling to offer promotions.